Jérôme Langillier master pastry chef and world dessert champion in 2009. 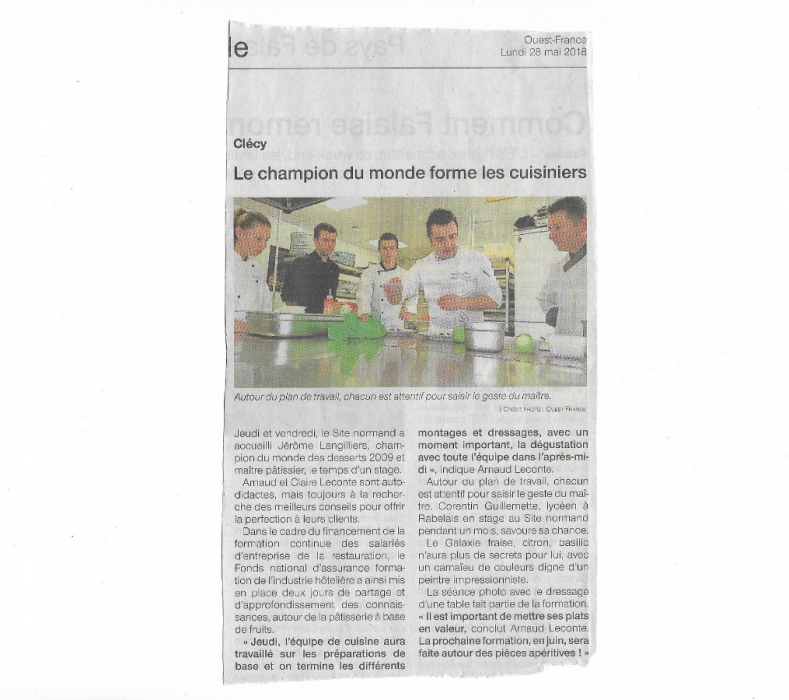 On May 24 and 25, 2018, we welcomed Jérôme Langillier World Dessert Champion in 2009. Montage, training, photo shoot was planned in the program to make fruit pastries during his two days.